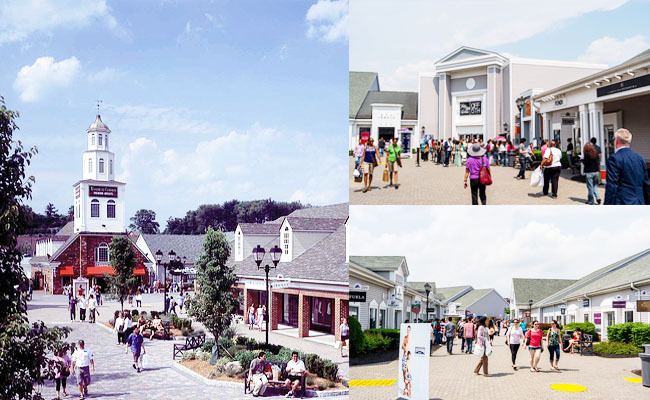 Woodbury Common Premium Outlets is one of the largest shopping centers in the entire world! This site is an easy to use resource to make your visit to the outlet as pleasant and easy as possible. The center is located in a small town called Woodbury, and not far from New York City, which is the reason a day visit from New York is so convenient for tourists and shopaholics. Woodbury Commons was first launched in 1985, and since then has expanded into an incredible shopping destination with over 220 stores! In fact, the center is so large, that the sections are color coded and you can find trolleys on the weekends that will transport visitors from parking lot to parking lot and other areas of the outlet. You can’t go wrong visiting any day of the week. As a matter of fact, the center will sometimes have special promotions happening mid-week. However, the mall is so big, that you are going to want to dedicate a full day which is why the weekends at Woodbury Commons is a great option to visit. Bring the whole family as there is something for everyone. If you like deals and bargains, then this is the place to visit. There is a store for everyone. With over 220 stores including Dolce and Gabbana, Zegna, Diesel, Armani, Polo, Gucci Coach, G-Star and many more, you will surely find something. Not only will you find these fantastic designer brands, but you will also find electronic, toy, house ware stores and more. For your convenience, we even have a printable map that you can use that lists all the stores, so you can be prepared ahead of time. Getting to the Woodbury Commons is very easy as you have several options of transportation, especially if you are coming from New York. The drive is about 1 hour with no traffic and if you don’t have a car or don’t’ want to drive, you can get to the center by bus or metro-north. One tip to keep in mind, if you take a bus, they usually have special coupon books that you can use to get even further discounts. The mall is open from 10am to 9pm, but special hours do happen on holidays so make sure you plan ahead.